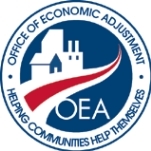 The Office of Economic Adjustment (OEA) is responsible for managing and directing efforts to assist communities impacted by Defense program changes, including base closures, base expansions, and contract or program cancellations, and for coordinating involvement of other federal agencies in the process. The Office of Economic Adjustment (OEA) was established during President John Kennedy’s administration, out of the office of Secretary of Defense Robert McNamara, to stem adverse impact on jobs and local economies after a government cost-reduction program closed a large number of military bases. In the late 1960s and early 1970s, OEA opened its first regional office, located in Pasadena, California. Four more offices followed in Boston, Chicago, Kansas City, and Atlanta. These regional outposts helped facilitate federal grant deliveries. As OEA shifted its attention to growth communities in the 1980s, block grants replaced categorical grants, so regional assistance waned and all offices were closed except for those on the West Coast. Due to congressional stipulations, no major military bases were closed during that decade. In 1988, a new base closure statute was enacted, which was designed to shield the process from political manipulation. The law set up a bipartisan commission that channeled base recommendations to the President. A report issued in 1988 recommended 91 base closures (five partial) and 54 realignments. As a result of the Base Realignment and Closure (BRAC) process developed in the late 1980s and ’90s, the OEA provided support to many local communities in the face of defense industry cutbacks. The system proved so successful that it served as a model for communities within former Soviet States and new Eastern European countries to better cope with reductions in military spending. The OEA is currently helping communities adapt to military growth in 27 regions, working on the completion of 65 Joint Land Use Studies, and collaborating with 111 local redevelopment authorities to deal with the closure of both large and small installations. The Office of Economic Adjustment (OEA) was set up to help alleviate as many negative effects as possible on people living in communities where Defense program changes occur, from military bases being shut down, or new ones opened, to defense contracts getting canceled. Provide information, leadership, and follow-through. Identify and evaluate courses of action and resources needed, and available, as well as where to pursue them when they’re not. Help find solutions for school overcrowdings, housing scarcity, and inadequate number of jobs for people seeking them. Assist in the wide variety of areas often needing massive overhaul when a base leaves a community. Coordinate involvement of other federal agencies in providing support and services where they’re most equipped, as well as offer technical expertise and grant assistance to state and local governments involved in the transitions. Administer a Joint Land Use Study program, to encourage cooperative land-use planning between military installations and the surrounding communities. The Office of Economic Adjustment (OEA) has funded multiple studies in recent years to assess the impact of wind farms being developed by local communities near military bases. In north central Montana, military officials were concerned about the building of solar panels or wind turbines near Malmstrom Air Force Base, which houses Minuteman III intercontinental ballistic missiles. The OEA launched a land-use study to examine the issue. The agency also participated in a joint land-use study requested by the Patuxent Naval Air Station in Maryland, where local communities considered installing wind turbines. A Navy official warned the development of large commercial wind energy projects could interfere with base operations and degrade radar performance. The concerns include clutter, seismic noise and even flight obstructions and could slow the development of wind energy in the United States. The Obama administration sought the establishment of a Base Realignment and Closure Commission (BRAC) in 2012. When that failed, it proposed the same idea in 2013. In 2012, the year of a presidential election, Congress shot down the BRAC proposal. Some observers said election-year politics was to blame for the decision, as lawmakers were unwilling to discuss another round of base closings that might affect their districts while fighting for reelection. The following year, the Pentagon called for another round of base realignment and closure as part of its fiscal 2014 budget request. Defense Secretary Leon Panetta said with the department facing serious budget cuts, closing bases made sense. “You can’t have a huge infrastructure supporting a reduced force,” Panetta told Stars and Stripes. In January 2011, federal law enforcement arrested more than 100 alleged mobsters involved in northeast ports, including the East Coast’s largest. The operation was described as the biggest blow ever to the mafia in the United States. But the arrests were unlikely to eradicate the mob’s presence from waterfronts, including the New York/New Jersey port. The Financial Times noted that organized crime had taken “a back seat” to threats of international terrorism since September 11. Meanwhile, American ports were left vulnerable to Mafioso tactics of thievery, extortion and racketeering. Patrick J. O’Brien, earned a BA in Urban Affairs and Political Science from the University of Minnesota, Duluth, and a Master’s of Science in Public Management and Policy Analysis from the School of Urban Affairs at Carnegie-Mellon University. He began his career as an Assistant Business Developer for the City of Duluth. He received his first experience with the federal government as a Presidential Management intern in the U.S. Department of Housing and Urban Development. After that, he came to OEA as a project manager, serving on several adjustment efforts, including those at Fort Ord, Loring AFB, Wurtsmith AFB, NTC San Diego, and Cameron Station. He also authored the OEA Community Guide to Base Reuse and other technical resources for communities, as well as leading different Base Realignment and Closure implementation policy reviews. 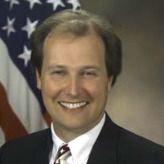 In addition to serving as the leader for a team of project managers who assist economic adjustment efforts, he oversees the Defense Economic Adjustment Program, and he is also Executive Director of the President’s Economic Adjustment Committee, as it was recently updated by Executive Order to assist communities in responding to Defense base closures or realignments, contractor reductions, and base expansions.